The storm is the strongest to hit the state in decades, with catastrophic flooding expected. The last Category 4 storm to hit the U.S. was Charley in 2004 in Florida, while the last Category 4 storm to hit Texas was Carla in 1961. Residents staying in the area frantically stocked up on food, water and gas, while others heading out of the storm's path boarded up windows and doors of their homes and businesses. Airlines canceled flights, schools were shuttered while concerts and other planned events in Houston and coastal cities were postponed. The hurricane's effects are expected to linger for days, with heavy rainfall through next week estimated to be as high as 40 inches in some areas. "This is going to be a storm we talk about, unfortunately, for at least the next seven days," ABC News Chief Meteorologist Ginger Zee said Friday on "GMA." (Brian Thevenot/Reuters) Craig "Cajun" Uggen, 57, nearly floods his truck as Hurricane Harvey comes ashore in Corpus Christi, Texas, Aug. 25, 2017. Minutes later, high winds blew off the camper carrying all of his belongings. Here's what we know about the storm. Harvey made landfall as a Category 4 hurricane over the northern end of San Jose Island between Port Aransas and Port O'Connor at 10 p.m. local time Friday, with sustained winds of about 130 mph and stronger gusts, according to the National Weather Service. 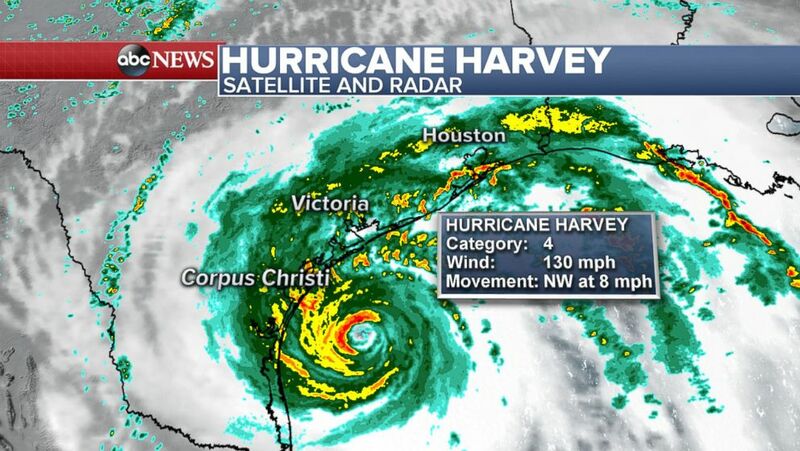 At the time, the storm's eye was 30 miles away from the coastal city of Corpus Christi, Texas. The National Weather Service warned Harvey could bring a potentially devastating storm surge, heavy rainfall and wind hazards to the Lone Star State's coast. A tornado watch is in effect for areas of southeastern Texas and southwest Louisiana. Life-threatening storm surge waters could reach 9 to 13 feet above ground level. Catastrophic flooding is expected across parts of the area. And rainfall will be heavy, with an estimated 15 to 30 inches of rain falling in many areas and as high as 40 inches in some from today through Wednesday, the National Weather Service said. (ABC News) Hurricane Harvey is pictured in this satellite image, Aug. 25, 2017. Saturday: Harvey roared ashore late Friday evening. The storm's path going forward remains uncertain but it is forecast to meander near or just inland of the middle of the Texas coast through the weekend. Sunday through Monday: Some forecast models show Harvey expanding across the Gulf Coast as it makes its way over southern Texas. Tuesday through Wednesday: The hurricane could, according to some models, move northeast and then re-emerge briefly over the Gulf of Mexico before making a second landfall in northeastern Texas or western Louisiana. (ABC News) Hurricane Harvey forecast, Aug. 25, 2017. Storm preparation began in earnest on Wednesday and intensified on Thursday. Shoppers lined up to fill their carts with food and water, while lines for gas stretched out of many stations. Some people also got to work boarding up their homes and businesses to protect against the expected 100-plus mile per hour winds. Even the Texas Department of Transportation in Victoria boarded up its windows on Thursday. As of Friday, governors had declared states of emergencies for 30 counties in Texas and statewide for Louisiana. Corpus Christi resident Alex Garcia bought bottled water, bread and other basic grocery items in the Houston suburb of Sugar Land because they were likely more available there than back home, where stores were "crazy," he told The Associated Press. And as Houston resident Bill Pennington prepared his one-story home for another deluge in the flood-prone city, the father told The Associated Press he comforted his nervous 9-year-old son by saying, "We know how to handle it. We'll handle it again." (AP) Aaron Berg fills up a gas can and his portable generator, Aug. 24, 2017, in Houston, as Hurricane Harvey intensifies in the Gulf of Mexico. Harvey is forecast to be a major hurricane when it makes landfall along the middle Texas coastline. The Coast Guard said Thursday it was sending shallow-depth vessels to Texas and Louisiana that are capable of responding in flooded urban areas. And with gale force winds predicted to arrive within 24 hours, the Coast Guard on Thursday also ordered a nearly total closure of ports in Houston, Texas City, Galveston, Freeport and Corpus Christi. By Friday afternoon, the Coast Guard had already completed its first search-and-rescue mission, rescuing 12 people from a 160-foot vessel near Port Mansfield, Texas. 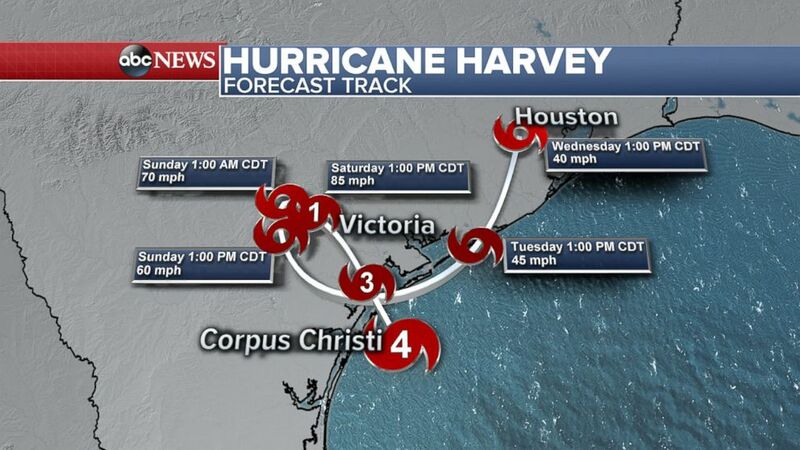 Texas officials announced mandatory evacuations for all seven counties on the coast: Calhoun County, San Patricio County, Refugio County, Brazoria County, Jackson County, Victoria County and Matagorda County. In four of those countries, officials ordered their entire county to evacuate and warned those who chose to stay behind that their rescue could not be guaranteed. Voluntary evacuations were urged for residents in other areas. 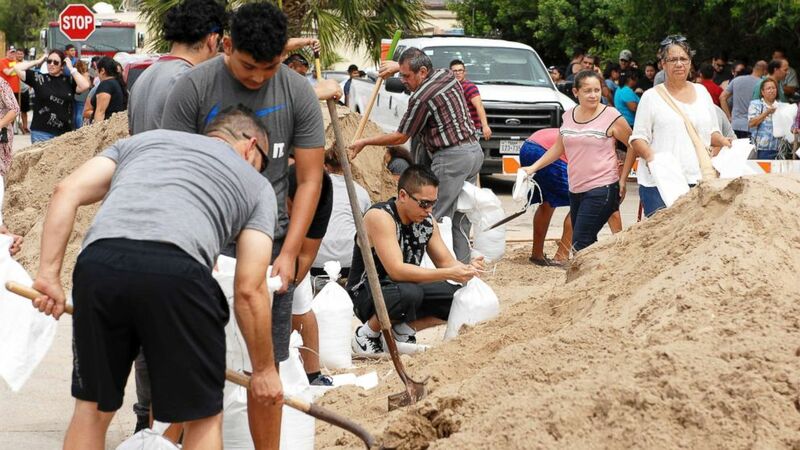 While a mandatory evacuation order is not in place for Corpus Christi, Mayor Joe McComb did advise residents to voluntarily evacuate ahead of the storm. Federal Emergency Management Agency Administrator Brock Long urged people in the path of the storm to heed warnings and to take evacuation orders seriously. "This may be the first major landfall hurricane we've had since 2005," Long said in an interview on "Good Morning America" Friday. "So there's going to be damage." As of Friday morning, FEMA had amassed more than 96,000 liters of water, 306,000 meals and 4,500 tarps at incident support bases in Seguin and Fort Worth, Texas, as well as in Camp Beauregard, Louisiana, should the states need them. Storm preparations have extended to New Orleans, where FEMA said it's working to make sure the Louisiana city's pumps are functioning in anticipation of the seven to 10 inches of rainfall expected there. The National Guard is also readying 500,000 sandbags, FEMA said. More than 120,000 people have lost power in the Corpus Christi area as a result of Hurricane Harvey so far. Politicians and officials have taken a proactive approach to the storm. Texas Gov. Greg Abbott said Thursday night that he had discussed storm preparation with President Donald Trump, as well as with the heads of FEMA and the Department of Homeland Security. On Friday, Abbott sent a letter to Trump requesting a presidential disaster declaration in anticipation of Hurricane Harvey. “Granting this request will provide Texans the additional resources needed to protect themselves, their property and rebuild their lives if necessary after Hurricane Harvey,” Abbott said in a statement. White House press secretary Sarah Sanders said at the press briefing Friday afternoon that Trump is planning to visit Texas "early next week." Many state and local officials have urged residents to pay attention to evacuation orders, as it will be too late to leave once the storm hits. Trump announced on Twitter late Friday that he had approved Abbott's request for a disaster declaration in Texas, formally making federal funds and resources available to assist state recovery efforts. The storm is already being compared to Hurricane Bret, which hit Texas on Aug. 22, 1999. 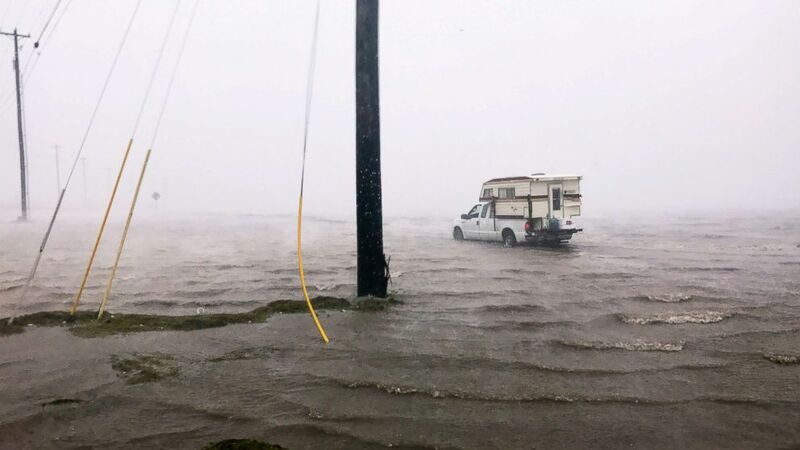 That storm made landfall in Kenedy County, just south of Corpus Christi, according to the National Weather Service -- a path that was similar to the one forecast for Hurricane Harvey. Hurricane Bret (Aug. 22, 1999): The Category 3 storm made landfall on a Sunday evening about 60 miles south of Corpus Christi. Luckily, the area is sparsely populated compared to Corpus Christi, and so problems were limited. Central Kenedy County received more than 15 inches of rain over two days, according to the NWS. The storm did about $88 million in damages in 2017 figures. Four Americans died in the storm. Hurricane Claudette (July 15, 2003): While Claudette came ashore as only a Category 1 storm with maximum winds of 90 miles per hour, it did extensive damage after coming ashore at Port O'Connor, about 100 miles northeast of Corpus Christi, and moving inland across Calhoun County, according to the NWS. Two people were killed. Hurricane Rita (Sept. 24, 2005): The last Category 3 storm to make landfall in Texas was Rita, though it did so much farther north than Harvey is expected to land. 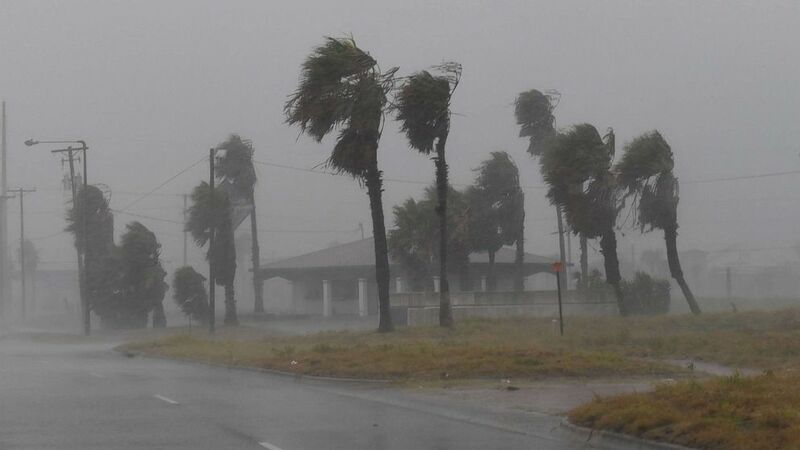 Rita, which hit just three weeks after Hurricane Katrina, made landfall right along the Texas-Louisiana border with sustained winds of 120 miles per hour. The town of Center, Texas -- near Nacogdoches -- received 10.48 inches of rain in the storm, but it moved quickly through the area, limiting rainfall accumulation. Still, 59 people from Texas were killed in the storm, according to the NWS, and a number of others died in a bus accident during evacuations. Hurricane Ike (Sept. 13, 2008): Ike, the last hurricane to make landfall in Texas, hit near Galveston as a Category 2 storm after decimating areas of the Caribbean in the week prior with winds as high as 145 miles per hour. 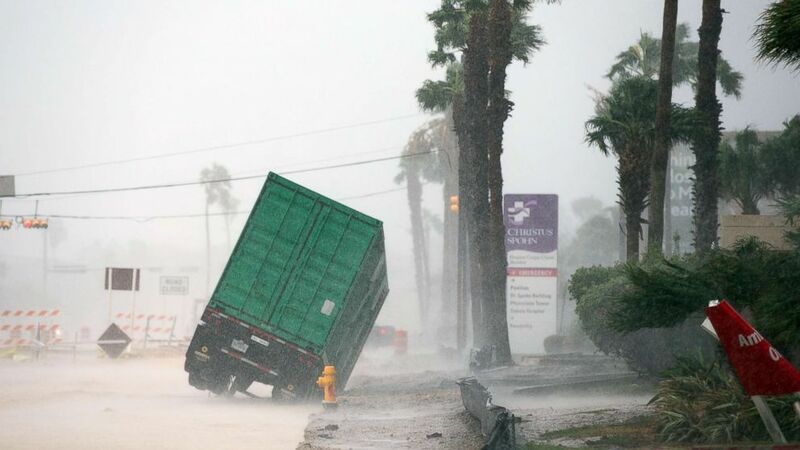 By the time it hit Galveston, winds were at a sustained maximum of 110 miles per hour, according to the NWS. The massive size of Ike resulted in substantial rainfall totals for the area. The highest total was 18.9 inches near Spring Creek, south of Houston, according to the NWS. Some sensors measuring storm surge actually failed due to salt water, according to a NOAA report, but the highest total was 17.5 feet in Chambers County. (Courtney Sacco/Caller-Times via USA TODAY NETWORK) Outside of the CHRISTUS Spohn Hospital in Corpus Christi, Texas, Aug. 25, 2017, as Hurricane Harvey moves towards the Texas coast.